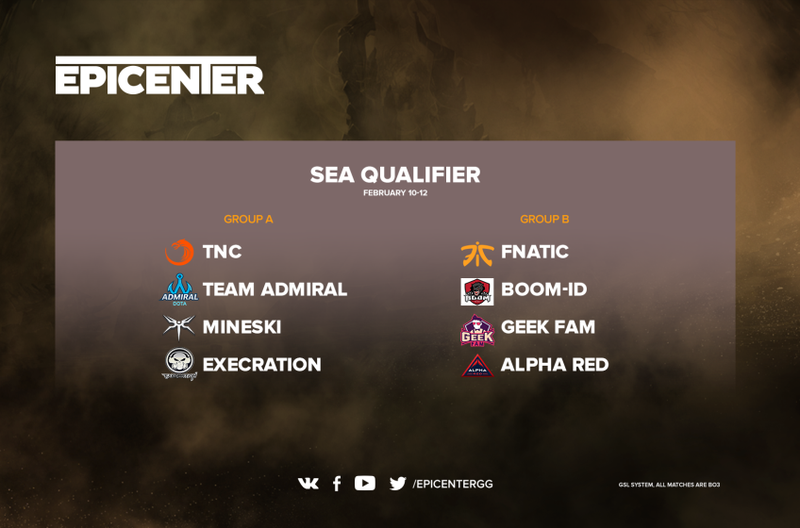 The open qualifier stage in the SEA region has ended, and we’re ready to announce the group seedings and the schedule for the EPICENTER XL closed qualifiers. The eight teams (of which four were directly invited into the EPICENTER XL closed qual, and the remaining four joined them via the open quals) have been divided into two groups. Group stage matches will use a GSL best-of-3 system. Two best teams from each group will advance to the playoffs, in which a single-elimination bracket will decide who gets the coveted ticket to EPICENTER XL. The qualifier will be held February 10–12. Looking forward to spectacular games, and let the worthiest win! Follow our announcements on social networks!